The Greater Wichita Area real estate market experienced exciting changes from September. Following the trend of the past two months, October brought even more new inventory! We are currently sitting at a four and a half month supply, which is welcoming news for buyers. The average sales price of a home is holding strong, especially for this time of year with a 1.1% increase from October 2017. The statistics below are based on information from the RSCK MLS for the time period of October 1, 2018 through October 31, 2018. Report data generated on November 1, 2018. 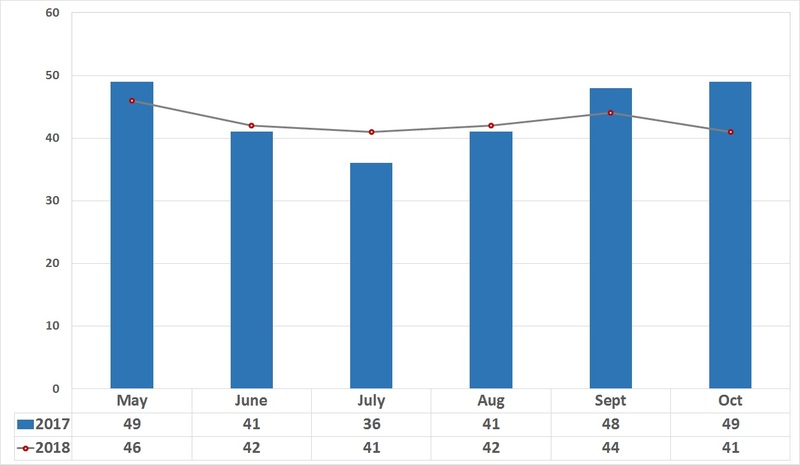 As previously mentioned August and September brought much welcomed new inventory to the Wichita market, and October followed right along with that trend. 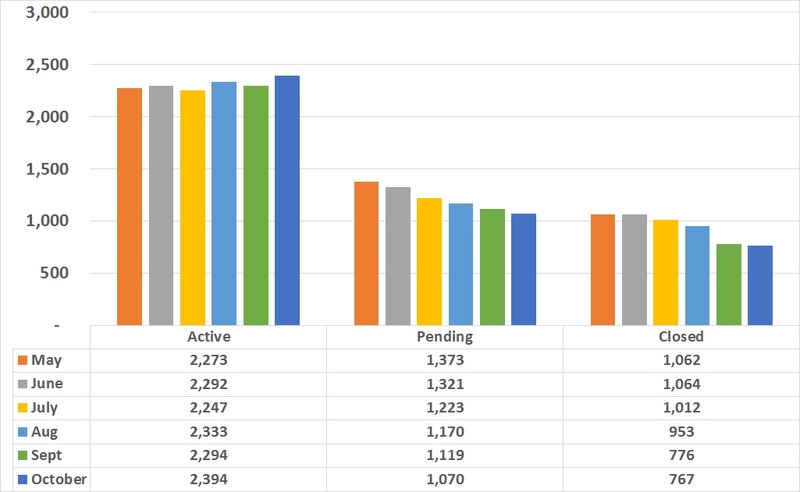 For the last quarter our market has received more new inventory than it has in nearly a year. We’ve been in a holding pattern of a seller’s market for quite some time now, which has been holding buyers back. New inventory becoming available in a continuous flow is promising for buyers who have missed out on previous listings and were left discouraged. 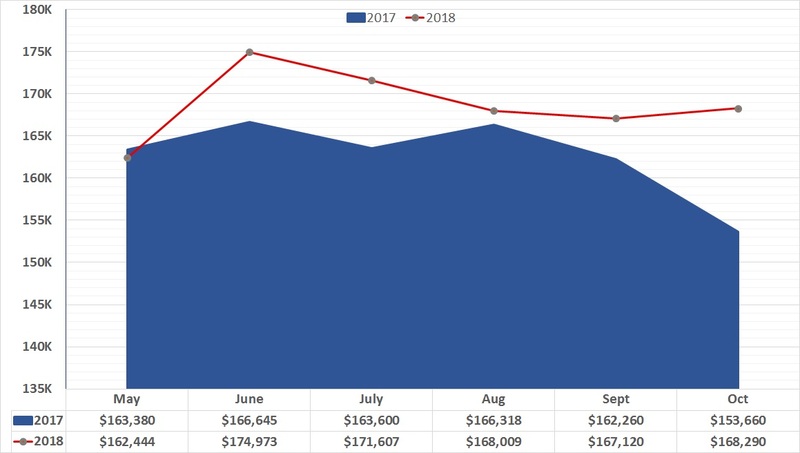 The average sales price of a home has decreased compared to June when it peaked at just under $175,000. However, it has held steady since August and compared to October of 2017, has increased by 1.1% in the last 12 months. Homes continue to move quickly in the Greater Wichita Area real estate market. Once again if you compare October’s market year to year, you’ll see just how much our market has truly improved! In combination with the average sales price remaining strong and homes selling quickly, sellers should feel confident to list. Visit us at www.weigand.com to explore and utilize the Price My Home tool. Create an account to set up Property Alerts which will notify you of new inventory! Also utilize Market Snap Shots to discover what the market looks like in a specific neighborhood or area you’re selling or searching in! To view September’s Market Update click HERE!